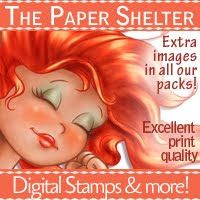 Stamping Tink: Just a little Sass and the City! Just a little Sass and the City! 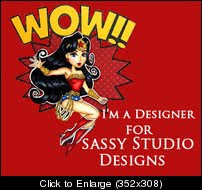 The stampers over at Sassy Studio Design are celebreating having over 700 members in their group over at Paper Craft Planet and are having a progressive Sass and the City Challenge. 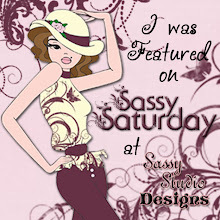 I missed the deadline to get my Charlotte Sassy in, but they are so generous that they are giving those of us who picked up the freebie a second chance to win a free Sassy stamp or two! 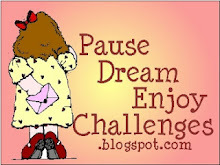 Hop on over and look at their great creations! The paper is from Basic Grey, she's colored with copics (been practicing a lot with them! 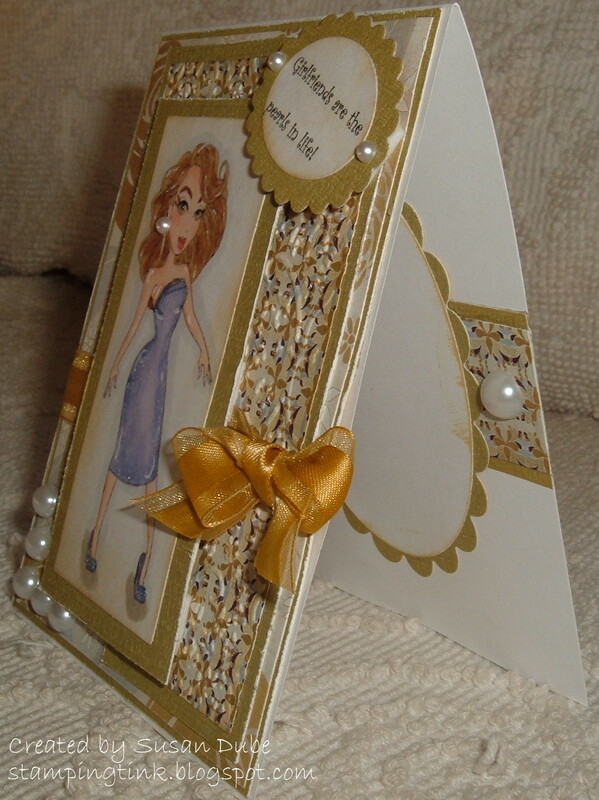 ), and I embossed the background papers with my cuttlebug. Love that baby! I used some Diamond Glaze on her shoes and the top of her dress, and you know I had to put some Stickles on her to give her a shot of bling! I hope you enjoy her as much as I had creating her. Now go tell that special friend of yours how much she means to you! How great is this! 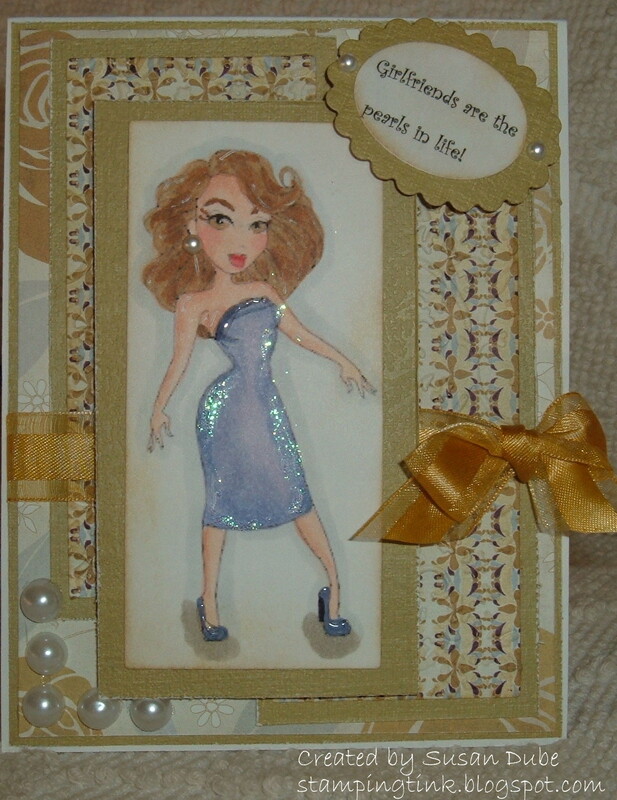 I love the paper choices and the bling!!!!!!! The bling is fantastic! Ooo la la. beautiful work! hi ya Susan, nice to see you again! hugs! 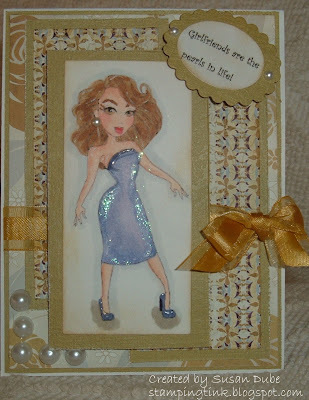 gorgeous card, love the touch of sparkle and your coloring is fabulous!! Susan, this is beautiful! I love the bling and your coloring is great!